This is the fourth of a series of posts on Boscobel, a lovely Federal style mansion in Garrison, NY the other three being: Boscobel – Objects; Boscobel – Interiors; and Boscobel – Rose Garden. 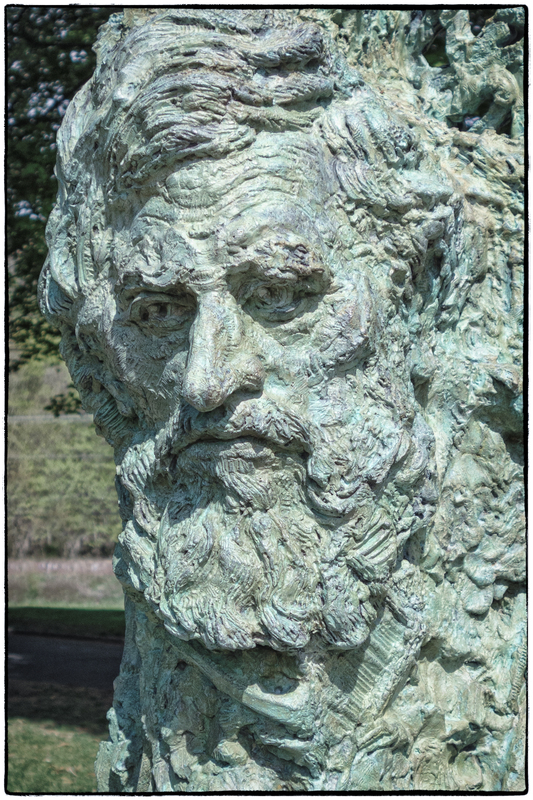 Greg Wyatt received his Bachelor of Arts degree in art history at Columbia College in 1971 and studied classical sculpture for three years at the National Academy of Design’s School of Fine Arts under sculptor Evangelos Frudakis, N.A. He earned his Masters of Arts degree at Columbia University, Teachers College in ceramic arts in 1974; in 1976 he was an Ed. D. candidate having completed his doctoral coursework in art education. Greg Wyatt is a native of Grand View-on-Hudson, New York located south of Nyack, home of Edward Hopper. 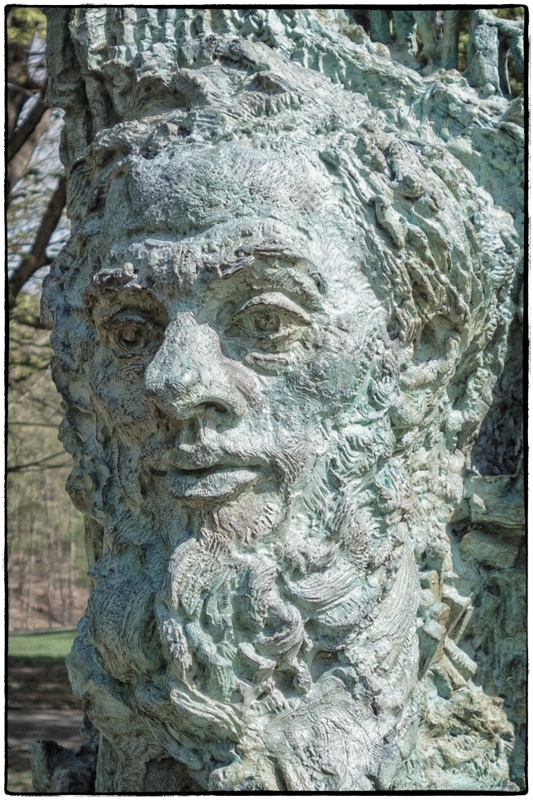 Mr. Wyatt was nurtured in the artistic tradition of his native Hudson River Valley at an early age by his father, Professor William Stanley Wyatt, painter and fine arts professor at Columbia University and the City College of the City University of New York. Cast bronze is his medium of artistic expression. Dr. Anthony Janson, editor of W.H. Janson’s History of Art, has stated that Greg Wyatt’s work is based on the philosophy of “spiritual realism.” His mature style merges realistic images inspired by his readings of the Great Books content with creative masses of form, space and energy. 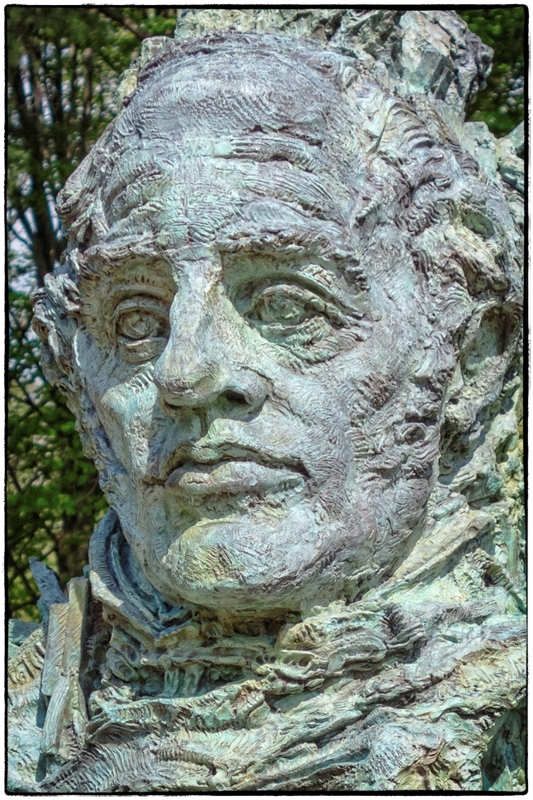 His lyricism evokes poetry while his work process is attentive to craftsmanship and the fine details of cast bronze. 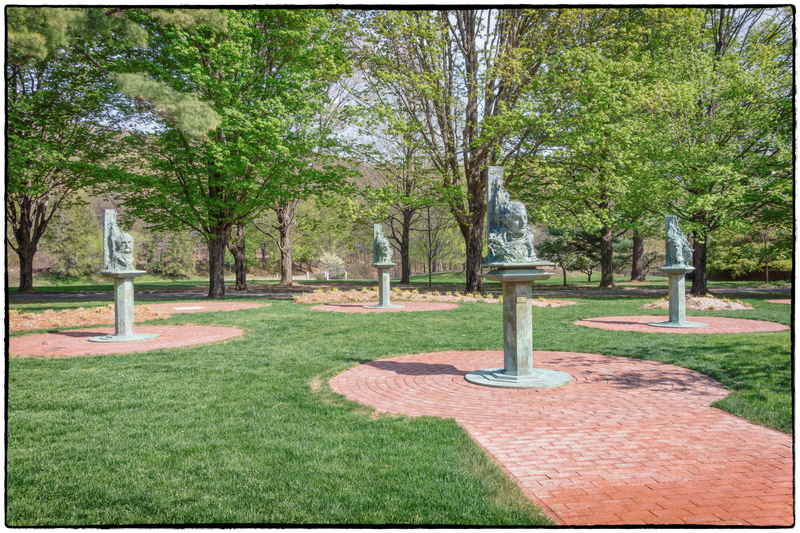 Boscobel is installing a permanent sculpture garden honoring the 19th-century Hudson River School of Painting. Not a singular institution but a movement, this 19th-century endeavor was developed by artists inspired by the natural beauty of the Hudson River and the nearby Catskill and Adirondack Mountains. In time, the painters ventured well beyond this region, studying in Europe and traveling to America’s far west and the Canadian Rockies. 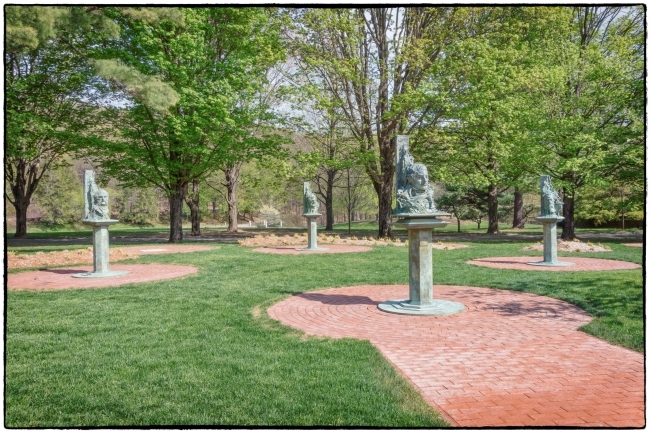 Upon completion, the Hudson River School Artists Garden will feature ten of the movement’s leading painters. These include: Thomas Cole, Frederic Church, Jasper Cropsey, Asher B. Durand, Albert Bierstadt, Sanford Gifford, Thomas Moran, Worthington Whittredge, George Inness and John Frederick Kensett. 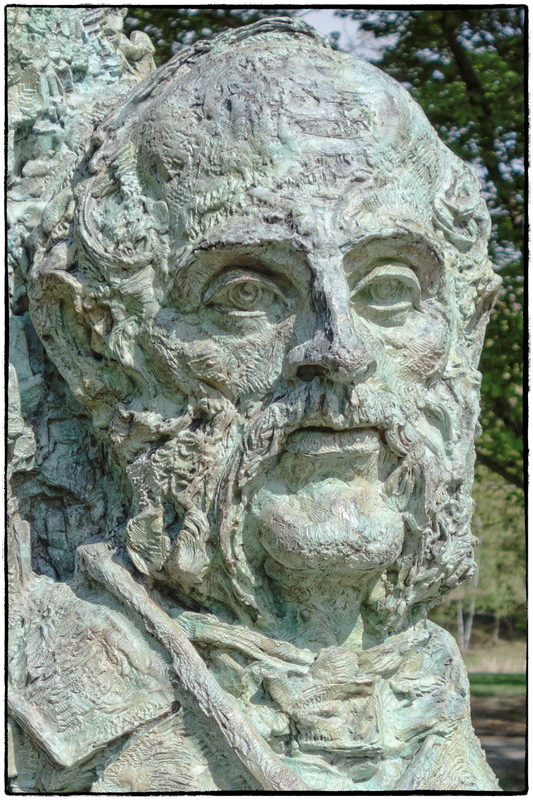 Greg Wyatt, the sculptor of the garden’s bronze portraits, has a studio in Hastings-on-Hudson, appropriately located in the Hudson Valley region. The project will be completed in the fall of 2017. So far four of the projected ten sculptures have been completed (see below). This entry was posted in Statues, Things. Bookmark the permalink.